For most dogs, a trip to the dog park is heaven. They get to run around without a leash on, play with other dogs and go home with happy memories. 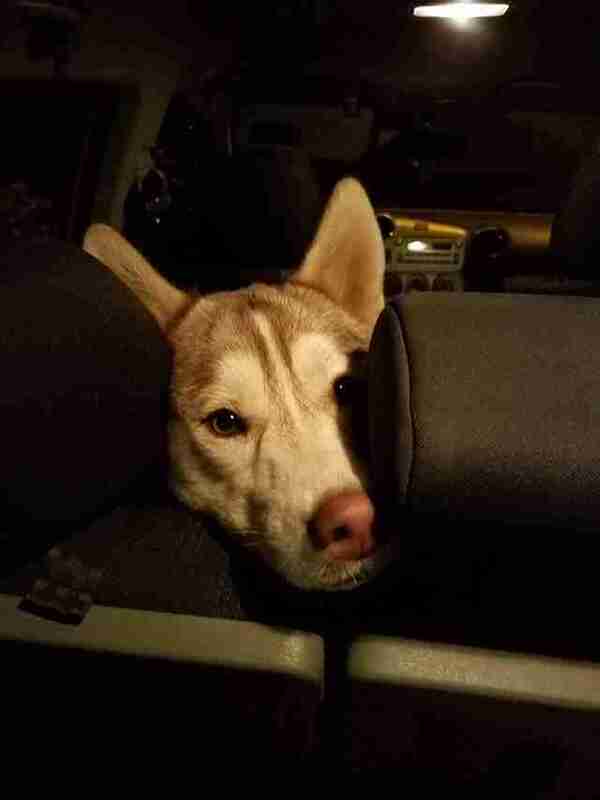 But for two huskies, Jada and Layla, their dog park visit ended very differently. Last week, Mona Ahmed, manager of Woodward Dog Park in Fresno, California, got a phone call. 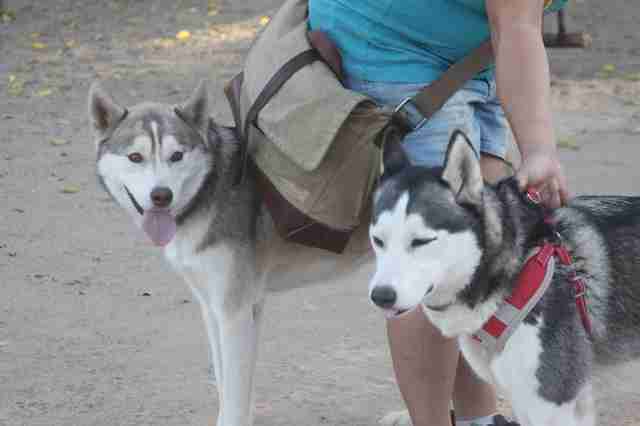 A woman at the dog park had found two huskies there. At first, Ahmed didn’t panic — surely the dogs belonged to someone and the owner would be back to get them. 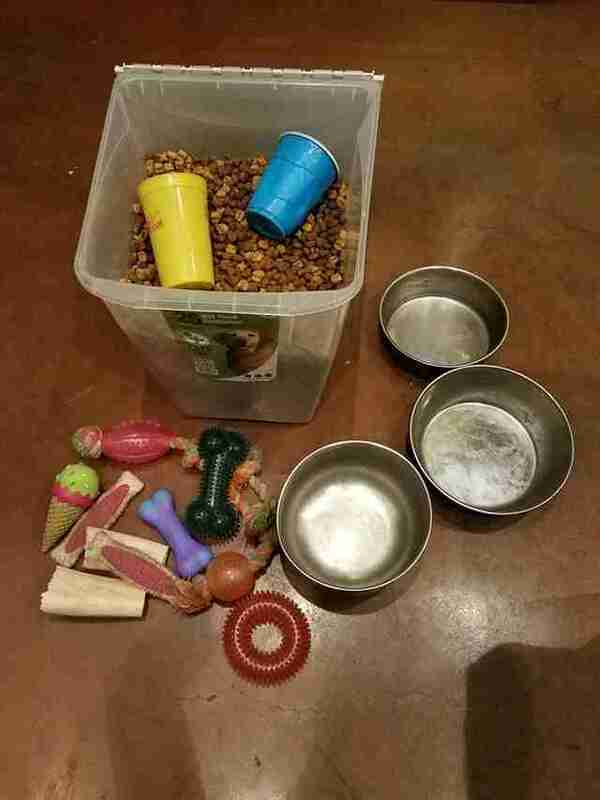 But then the woman said she found a box filled with dog food, bowls and toys. There was also a note inside the box. Ahmed rushed to the dog park as quickly as she could, and she found Layla and Jada wandering around, looking sad and confused. One visitor offered a crucial bit of information. 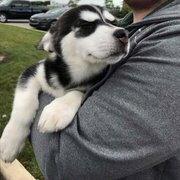 “Somebody said, ‘Yes, I saw [a woman] leave the huskies behind. She just told us she’s going to the car, and she’ll be right back. So nobody really paid attention to the fact that she was really gone,’” Ahmed said. Ahmed felt dreadful for Jada and Layla, but she was glad someone had alerted her. If the dogs had been left at the park overnight, they could have gotten hurt. Unfortunately, this isn’t the first time people abandoned dogs at Woodward Dog Park. Ahmed, who has run the dog park for 10 years, said that 13 other dogs have been abandoned at the park, and she was left with the responsibility of rescuing and rehoming them. While keeping owners and pets together is always the best option, there are resources for people can’t keep their animals, Rachael Lewis, manager of media and communications for the ASPCA, told The Dodo. 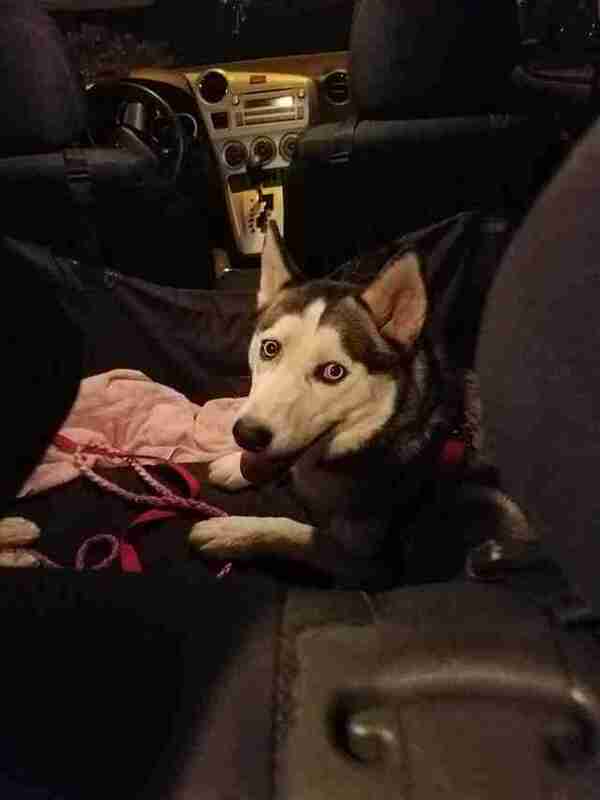 Ahmed, who also founded Fresno Furry Friends, an organization that offers spay and neuter services, took Jada and Layla into her care, and placed them in a secure foster home. 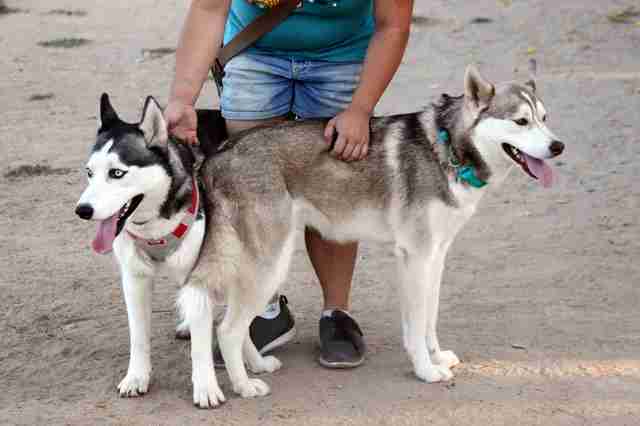 The huskies, who Ahmed believes are sisters, hadn’t been spayed or microchipped, so she’s going to make sure this happens before they’re rehomed. “We want to find the right home for the dogs,” Ahmed said. However, she added that the dogs’ foster mother is falling in love with them, so they may have already found their home. In the meantime, the foster mom takes Jada and Layla to the dog park every day — and she always brings them home with happy memories. 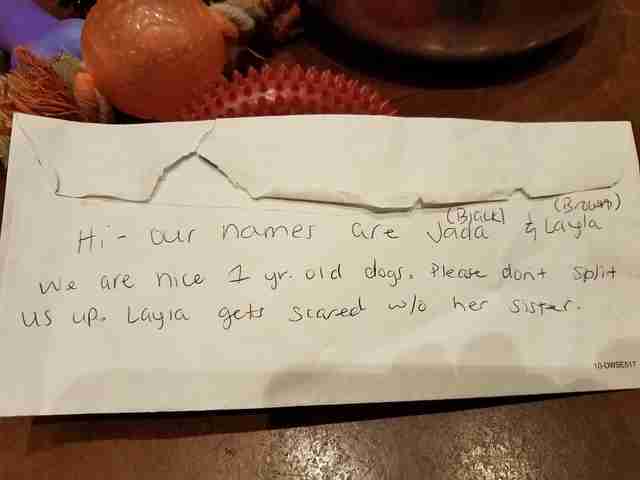 CORRECTION: A former version of this article stated that the dogs were named Vada and Layla. However, their correct names are Jada and Layla.